Description of a house: rooms and furniture. The present downloadable printable is a great resource for high school students, elementary school students and adults at Elementary (A1) and Pre-intermediate (A2) level. It is valuable for practising Nouns in English, and can be used for working on your learners' Speaking and Writing skills. 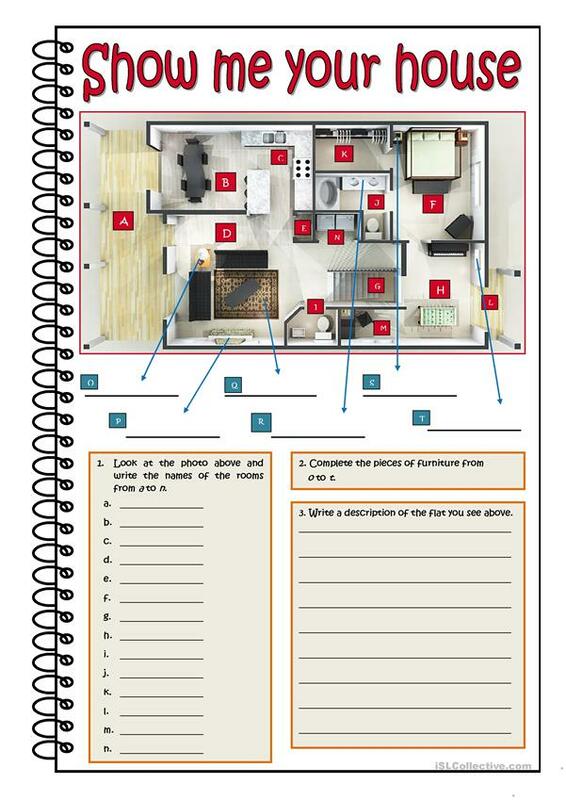 It features the topic and words of Rooms in the house.